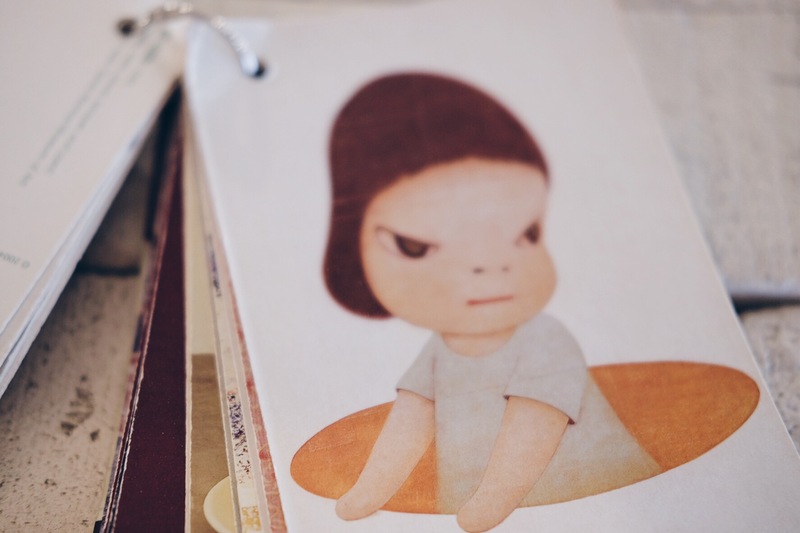 Yoshitomo Nara is one of my all time favourite artists. 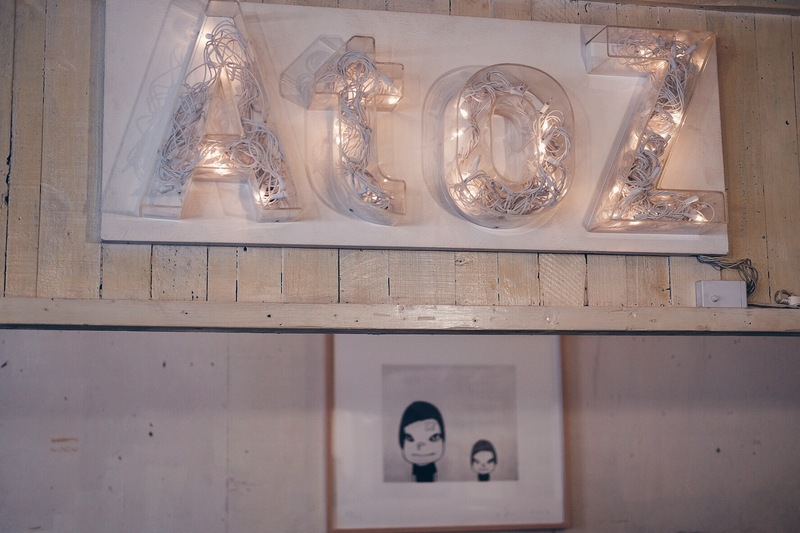 The A to Z Café in Aoyama is the joint project between Mr Nara and the cool Osaka based Japanese design Studio Graf. So we had to go and check it out. 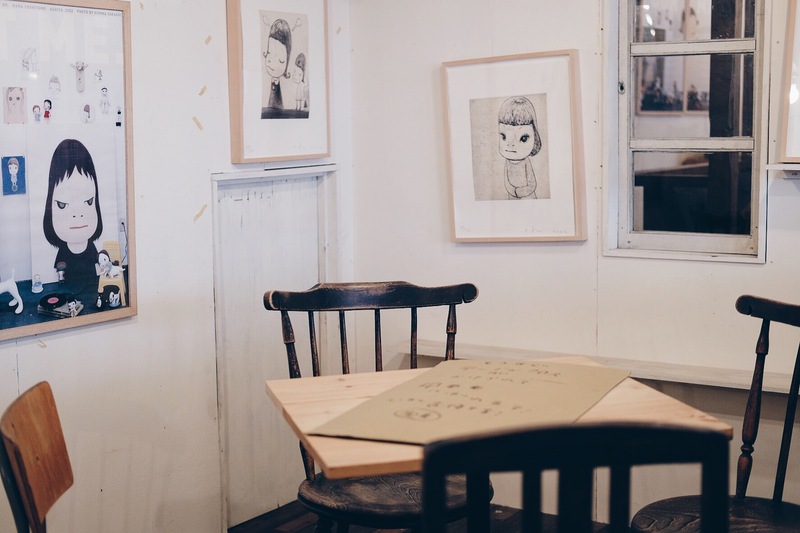 The café is filled with paintings, sketches and sculptures of Nara’s iconic devilish children all over the walls of this popular café. It is located in the hip area of Aoyama and there is always a line to get in. 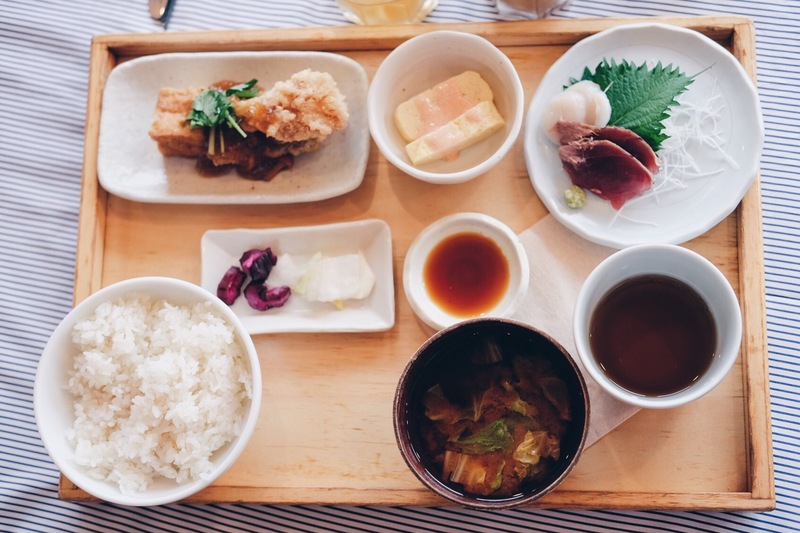 For lunch there is a set menu (they love those in Japan, so we have noticed) for the cost of only 1000 yen (60 dkk). The food is really good and the view from the 5th floor is not bad either. All together a perfect little hidden lunch spot. 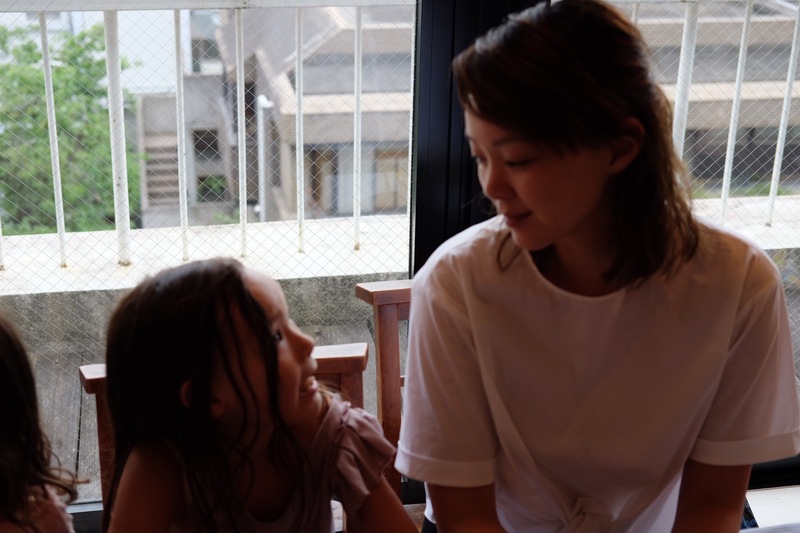 Address: 5-8-3 Equbo Building 5F (meaning 5th floor), Minami Aoyama – look for the small black and white sign to find the right place to enter to the elevator.